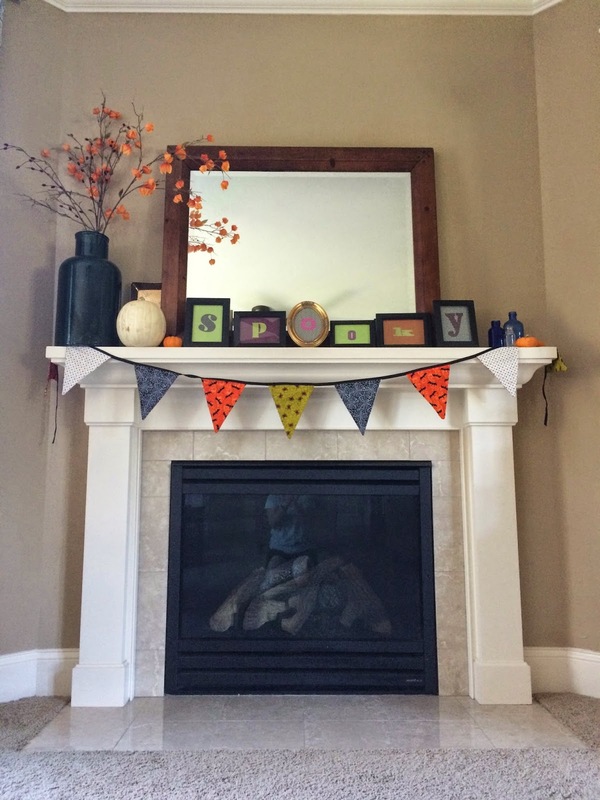 I haven't gone all out with Halloween decor this year. I just added a few touches. 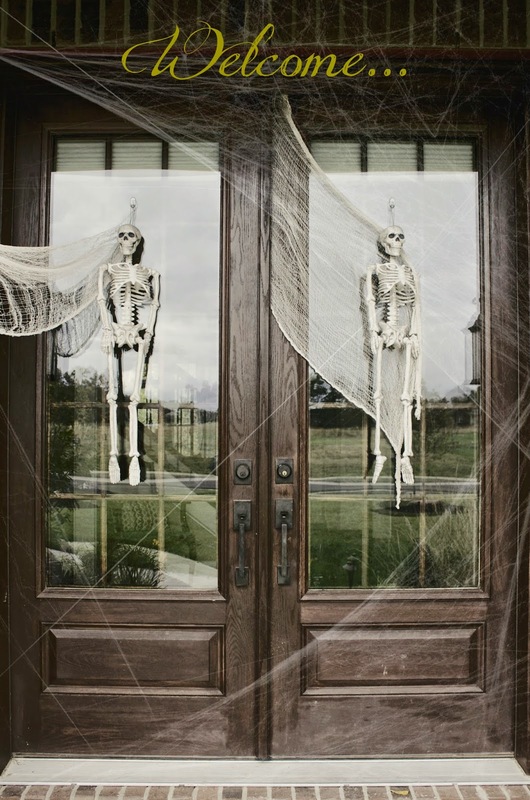 Ok, the front door isn't actually that spooky. I got carried away with my favorite photo editing program. 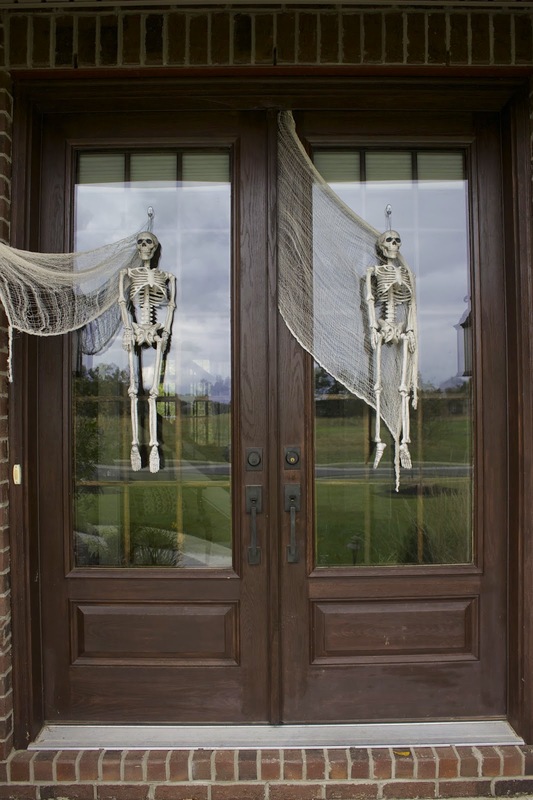 Double doors call for double skeletons. This is what it really looks like, and no, the kids aren't frightened by it. 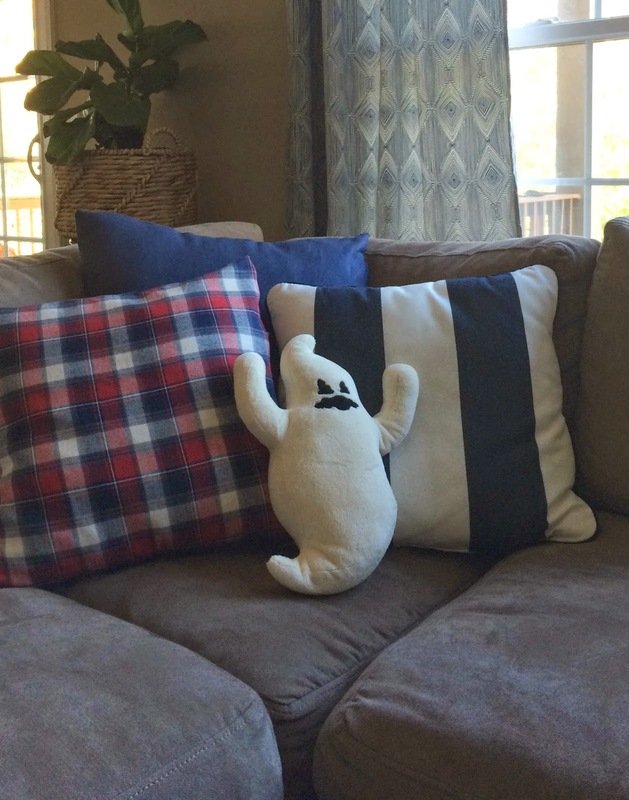 They want me to make the house spookier. We all love Halloween. 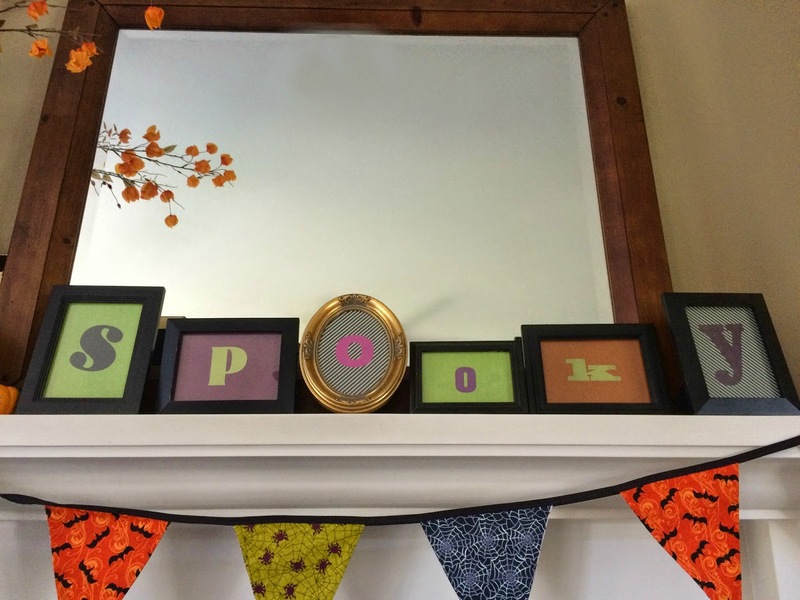 The kids love coming home to find their favorite Halloween decorations on display. They respond to this ghost as if they've been reunited with an old friend. This is not a joke: they argue over who gets to snuggle with him at night, and take turns throughout the month of October. 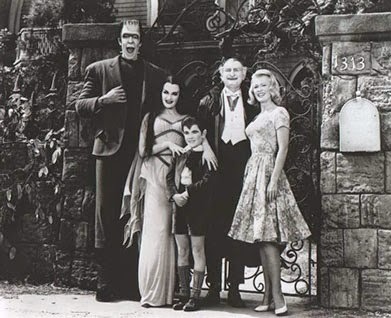 And tonight's family movie night will be another Mini-Munsters-Marathon.